Stir-fried rice is such a delicious and useful way to use up leftover cooked rice. 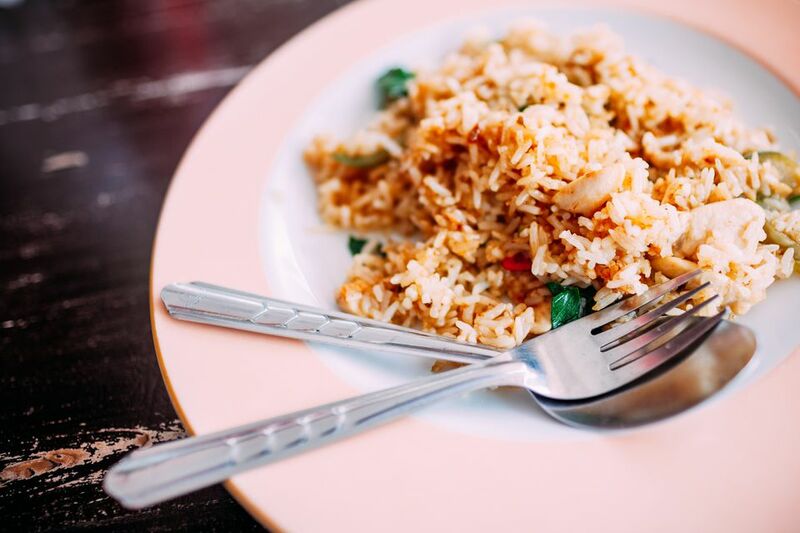 In fact, it’s easier to make stir-fried rice with rice that has been completely cooled, and even easier to use rice that has been refrigerated, because then the grains don’t clump up stickily as you sauté the rice. Jasmine rice is lovely in this dish, but you can use any rice you have on hand, long grain, short grain, white, brown, basmati, whatever you like. Also feel free to swap out the kale for another green, and add in any vegetables that are in season, from pieces of asparagus, to broccoli florets, to sugar snap or snow peas. You can also use leftover cooked kale, just make sure it doesn’t have seasonings that might not work with the Asian seasonings in this recipe. You should have about two cups of cooked chopped greens, but the precise amount doesn’t matter. Bring a large pot of water to a boil, and add about 1 tablespoon of salt. Add the kale and boil, stirring occasionally for about 8 minutes until the kale is fairly tender. Remove the kale with tongs, or drain in a colander. Cool until you can handle it comfortably and then pull off the thick stems, squeeze out the excess water, and roughly chop the kale. Cool and squeeze dry. Chop about 2 cups. Heat the oil in large pan. Add rice and ginger and sauté for 5 minutes, until the rice starts to turn golden – don’t stir it too often, you want it to get some color from the hot pan. Add the red pepper and cooked chopped kale and sauté for another 2 minutes. Add the garlic and sauté for 1 or 2 minutes until everything is hot and the peppers are crisp-tender. Add the teriykai sauce and sauté for 1 more minute.